A conveyor belt is a representation of the great industrial period in which we live. Each item takes its time as it goes down the belt and meets an important building step in the process. Eventually, it is manufactured into a desired product set to go out from the factory to places all across the world. We’ve tried to capture this feeling into some helpful PowerPoint graphics for you to use in your presentations. Take a look at a few examples below. Click on the image to view this template in the library! 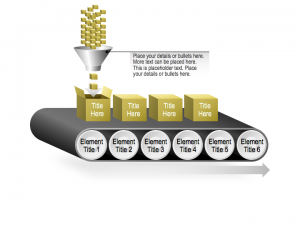 A conveyor belt is a great way to show a particular process as it moves from beginning to end. Just like in a factory, as a process moves along, things will be added to it until you have a finished product. But what are each of the stops along the way? Fill in each step and provide details for what is required before moving further down the assembly line. At times you want to be able to focus in on the individual parts of the process rather than give a larger overview of everything. 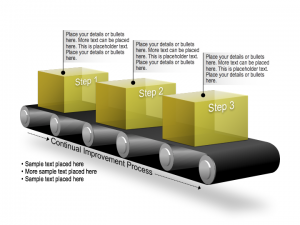 This template is great for pointing out the individual elements that make up a step in a process. It also allows you to focus on the driving elements that may be behind a process (in this case represented by the rollers under the belt). Move the callout around and copy the slide to take the time to really get into the details of your process. Often you’ll want to talk about people instead of objects or steps in a process. 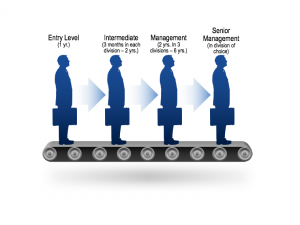 You could use this graphic to represent an employee’s professional development process or maybe how a particular part of a project passes from one person to another as it progresses to completion. Really, you could replace any parts of the image to better give yourself a representation of whatever objects you want to move down the line. All of our templates allow you the ability to customize shapes, colors, and positions with minimal effort. 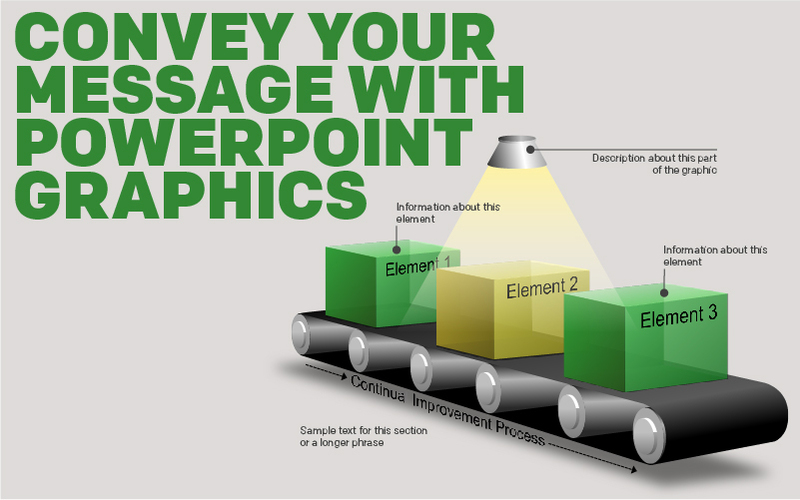 These conveyor belt graphics are just a small part of our expansive PowerPoint Graphic Library. Take some time to browse through all of the different types of graphics and let us know what you think!